The type Mary Janes shoes have always been one of the best options to ensure the correct development of the foot of the princesses of the House, perfect to dress up or to go to school!! This mercedita this specially designed and manufactured so that smaller feet grow and develop naturally, is also prefect so they can use it in any situation. -Blue marine, the perfect complement to any dress or even as shoe College to start the course. -Bordeaux, timeless, that adds a touch of elegance to any dress. -Red alive, happy and more relaxed, more spring color. 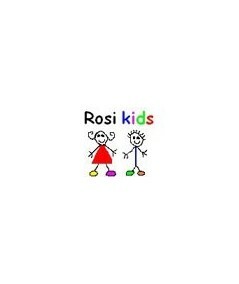 The materials used to manufacture the collection Rosi Kids infant shoes, have surpassed the most rigorous quality controls, because if for any foot is important to the quality of the shoes for small feet, in constant growth is of crucial importance, why only first quality skins, are used to ensure health and proper development of the feet. The exterior is entirely soft natural leather, with a flawless finish. The inner liner is also soft skin, the largest number of seams that may produce Groove cutters have been removed. The template is the same fur backing, has built-in arch plant to promote the development of the foot bridge. The toe is very wide and rounded to avoid pressures the finger area. It has heel is reinforced to hold the ankle properly, also the edge this padding so avoid friction and discomfort. The floor and the heel are non-slip rubber, so that the steps prevail you are safer. The closure of the bracelet is by buckle, which provides adequate fastening for the little ones feet. The scallop and the chopping of the neckline give the touch of elegance to this child Mary Janes, which at the same time is perfect for use in any situation and time of year, no doubt this is one of the most versatile shoes girl that exist.